Government distorts facts on NSA "targeting" Americans for surveillance. It is likely that the National Security Agency does sometimes eavesdrop on Americans’ communications without a search warrant. But you wouldn’t know that from government officials’ recent statements, which are painting a misleading picture of the agency’s surveillance capabilities. 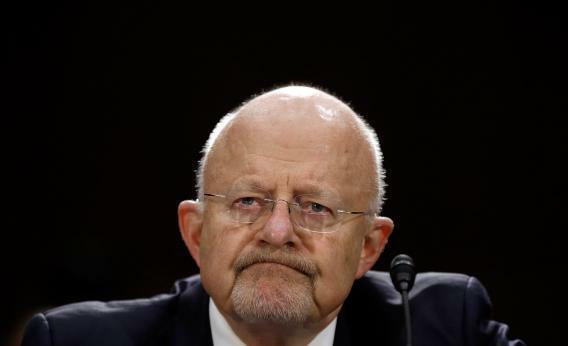 The CNET report whipped up a storm of hysteria on Twitter and quickly prompted the director of National Intelligence’s office to issue a response. “The statement that a single analyst can eavesdrop on domestic communications without proper legal authorization is incorrect and was not briefed to Congress,” the statement said. This seemed to reassure Nadler, and he retracted his initial remarks. “The NSA cannot listen to the content of Americans’ phone calls without a specific warrant,” he told BuzzFeed. But neither of these statements—from the DNI’s office or from Nadler—candidly portray the true extent of the NSA’s activities, because the agency actually can sweep up Americans’ communications without a “specific warrant” in some cases. Under section 702 of the Foreign Intelligence Surveillance Act, the NSA has broad authority to monitor the communications of “persons reasonably believed to be located outside the United States.” To conduct this surveillance under FISA, the government has to get the secret Foreign Intelligence Surveillance Court to sign off on a “certification” that outlines what the spying will involve while detailing how it will implement “minimization procedures” to avoid eavesdropping on American citizens. But the NSA still gets to pick its own specific surveillance targets under the certification; only has to have 51 percent certainty that it is targeting a foreigner; and does not have to tell the court about the “facilities, places, premises, or property” that will be monitored. What this means in practice is that the NSA does not have the authority to explicitly “target” a domestic phone call or email in which both parties to the communication are known to be inside the United States. But the agency can “incidentally” sweep up Americans’ phone calls and emails—especially when one party is inside the United States and the other is overseas—while conducting FISA-authorized spying on foreigners’ communications. That’s why it’s misleading for the DNI to say that section 702 of FISA “cannot be used to target Americans anywhere in the world.” It may be technically right that it can’t “target” Americans, but that does not change the fact that the NSA’s surveillance can and inevitably does involve the warrantless interception of Americans’ private communications. Indeed, there is known to be at least one case in which the FISA minimization procedures designed to limit surveillance of Americans were circumvented by the government in a way that was deemed unlawful, though the Justice Department is fighting to keep the details secret. In the past fortnight, the scope of the NSA’s surveillance programs has come under intense scrutiny following the leak of top-secret documents published by the Guardian and the Washington Post. Edward Snowden, the NSA contractor who has admitted disclosing the documents, participated in an online question and answer session Monday for the Guardian. The 29-year-old, who is currently in hiding somewhere in Hong Kong, accused the U.S. government during the Q-and-A of using “weasel words” in its statements about the extent of domestic surveillance. “Americans’ communications are collected and viewed on a daily basis on the certification of an analyst rather than a warrant,” Snowden said. “They excuse this as ‘incidental’ collection, but at the end of the day, someone at NSA still has the content of your communications.” The DNI office’s use of ”targeted” is one example of just such a weasel word.